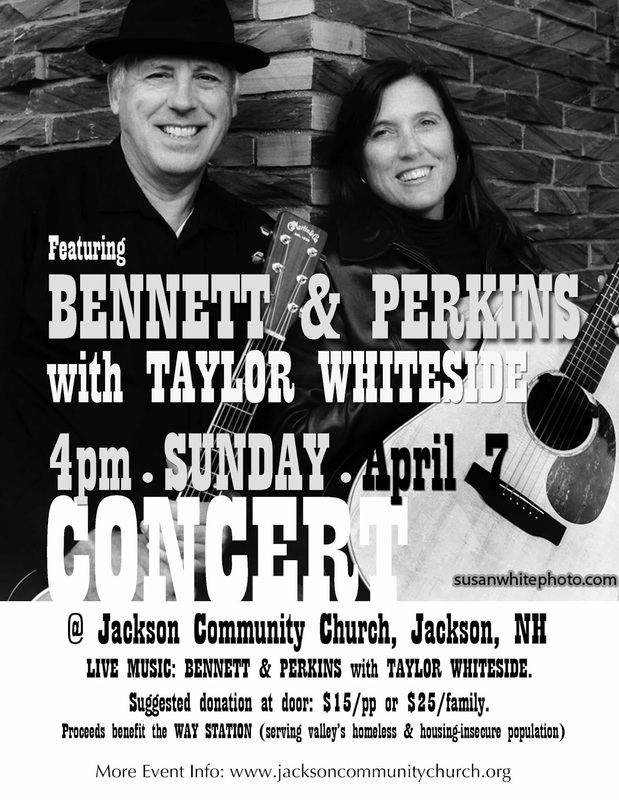 From the White Mountains of New Hampshire comes a unique blend of harmonies and guitars from the duo of Kathy Bennett and Thom Perkins. 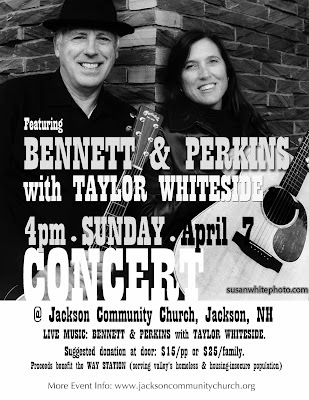 The pair performs a startling array of original songs with powerful lyrics and melodies, coupled with exceptionally strong vocals and guitar playing. The duo released their second CD in September 2012. Entitled "House on Fire, the album is a powerful collection of original songs and a natural continuation of their music from their first CD "The Kitchen Music Sessions" (2010).